MARIETTA, GA, September 24, 2018 — Marquis Who's Who, the world's premier publisher of biographical profiles, is proud to present Jane Hammond Carroll with the Albert Nelson Marquis Lifetime Achievement Award. An accomplished listee, Ms. Carroll celebrates many years' experience in her professional network, and has been noted for achievements, leadership qualities, and the credentials and successes she has accrued in her field. As in all Marquis Who's Who biographical volumes, individuals profiled are selected on the basis of current reference value. Factors such as position, noteworthy accomplishments, visibility, and prominence in a field are all taken into account during the selection process. Since 2010, Ms. Carroll has been an author, artist and poet at Lulu Press and Barnes & Noble. In addition, she has been the owner of Jane Carroll Fine Arts since 1981. From 1985 to 1987, she was an author and artist for Winston-Derek Publishers in Nashville, TN. Prior to these appointments, she was the assistant director of AID-Volunteer in Greenville, SC, from 1971 to 1973. Her first professional role was in 1968 as a teacher in A.C. Flora High School in Columbia, SC, where she worked until accepting a two year position as executive field director at the Northeast Georgia Girl Scouts of America in Athens, GA, in 1970. Ms. Carroll's academic pursuits began at Winthrop University in Rock Hill, SC, in 1965. Continuing her studies, she earned a Bachelor of Arts from the University of South Carolina in 1968. While her husband was attending Columbia Theological Seminary in Atlanta, GA, she decided to take up art classes to fill her time that was not spent raising their children. She took part in art studies with Dolores Kennedy in Atlanta, GA, from 1981 to 2004 and began portraiture studies with Nelson Shanks, Jim Schell, Marc Chatov, Nancy Honea, Daniel Green and Thomasine Bradford from 1990 to 2009. Ms. Carroll has presented numerous one-woman shows at the Salon in Atlanta, GA, the Revis Lewis Gallery in Greenville, SC, the Galerie Timothy Tew, and the Ariel Gallery in Atlanta, GA. Furthermore, she has been featured in various group shows at the Avondale Art in the Afternoon, the Georgia Artists Invitational at the Atlanta Art Gallery, the Telfare Museum of Savannah, the Portrait Society in Atlanta, GA, and Holly Mitchell Fine Art in Greenville, SC. Other group shows include the National Art Exhibition at the South Cobb Alliance and the Cathedral of St. Philips in Atlanta, GA. Moreover, Ms. Carroll's work has been recognized in group shows at Calloway Garden, the Telfare Art Fair in the Ariel Gallery, the International Pastel Show in Georgia, and the Sumner Museum Archives in Washington, DC. Additionally, she was featured in group shows at the Fine Art Museum of the South, Savannah National, and the Georgia National Fair in Perry, GA. She was also involved with the Master Artist Workshops with Nelson Shanks in Philadelphia, PA, from 2001 to 2007. Her civic involvement has been extensive over the years as well, serving as a board member of the Greenville Junior League from 1971 to 1973, an artist and fundraiser for Rehabilitation Education for Handicapped Adults and Children in Atlanta, GA, from 1992 to 1995, and a volunteer artist for the Arts in Atlanta Project in 1993. Some of the organizations Ms. Carroll has membership with include the Portrait Society of Atlanta in 2016 and as chair of the arts program with the National League of American Pen Women from 1984 to 2018. She also spent time as a member, vice president, and merit member of the Atlanta Artist Club. Ms. Carroll's artwork has been recognized for its brilliance in the form of awards such as Best of Show from the Georgia State Association and National League of American Pen Women in 2012 and from the National League of American Pen Women and Atlanta Branch Annual Show in 1987, 2001 and 2003. In 2001, she won the Award for Drawing and Merit Ribbon at the Georgia National Fair in Perry, GA. Earlier in her career, she was awarded first place for drawing from Savannah National in 1993. Though these are all impressive accomplishments, Ms. Carroll considers the highlight of her career to be her ability to complete portraits of her grandchildren, especially given that she started with no artistic knowledge. Additionally, she is very proud of her husband who went to seminary and is now a renowned family therapist, ordained Presbyterian minister and author. 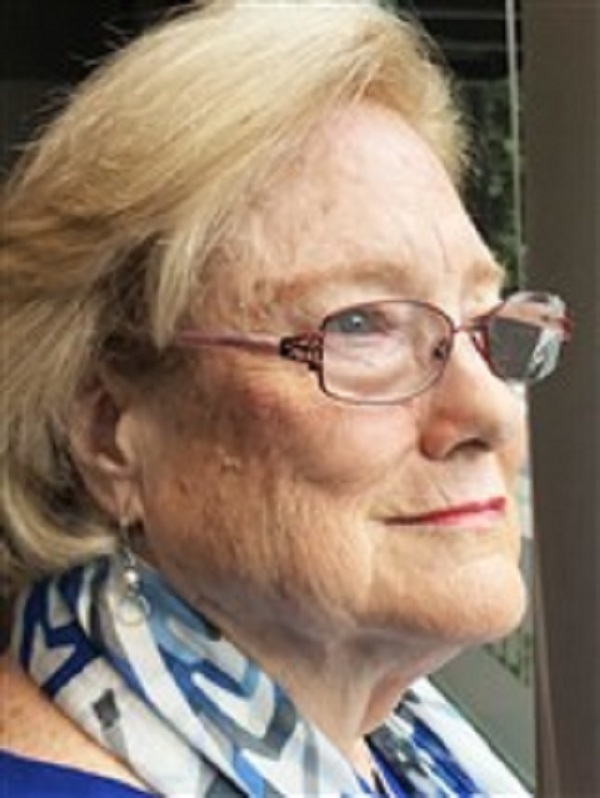 In recognition of outstanding contributions to her profession and the Marquis Who's Who community, Jane Hammond Carroll has been featured on the Albert Nelson Marquis Lifetime Achievement website. Please visit www.ltachievers.com for more information about this honor.